It is very important that the flooring chosen is strong enough to last a very long time, and durable enough to handle any use it may be required for. People often forget about flooring of a loft conversion. Be sure to use quality materials and follow the recommendations of the experts to keep your floor fixed in place and your household members safe. Existing ceiling joists will not be capable of supporting your flooring and typically do not have the strength to support an additional household level, people, flooring and furnishings. 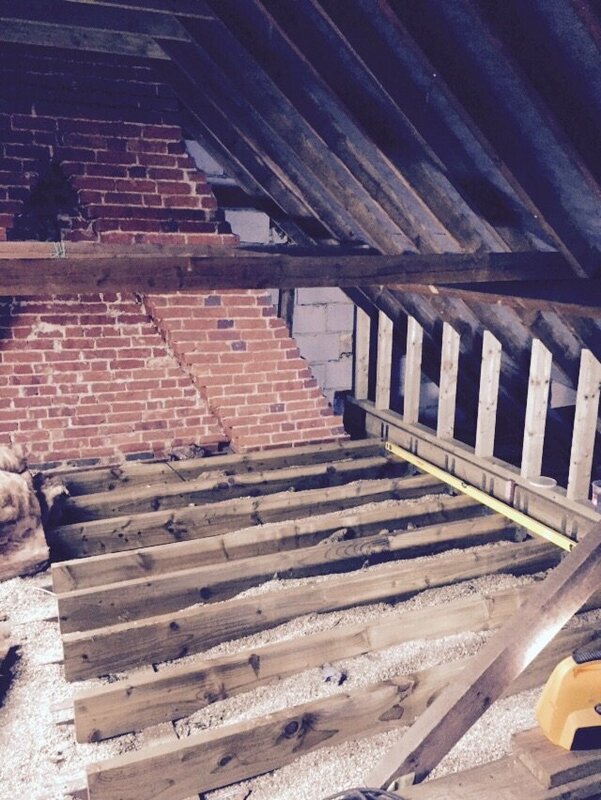 Reinforced steel joists are frequently used for open plan loft conversions. Care should be taken in choosing flooring in a loft conversion and we will make sure that the flooring in your loft is suitable for the use required. For more information on all garage or loft conversions in Basingstoke, Alton, Farnham, Farnborough, Winchester and all surrounding areas please call now on: 01256 760938 or mobile: 07725 817388.